What is the color of your run?! Will it be red, black, or blue?! As we popularized the dialogue of "Red is the Color of Love" in one of our trending videos which pertains to the red color theme of On Your Mark (OYM) Leg 3, let us summarized my 5 Major Running Events for the month of October 2016 through their color themes. This year, I have conquered a 42K full marathon in the much anticipated Run United Philippine Marathon (RUPM) 2016 breaking a new record of less than 6 hours for a full marathon. 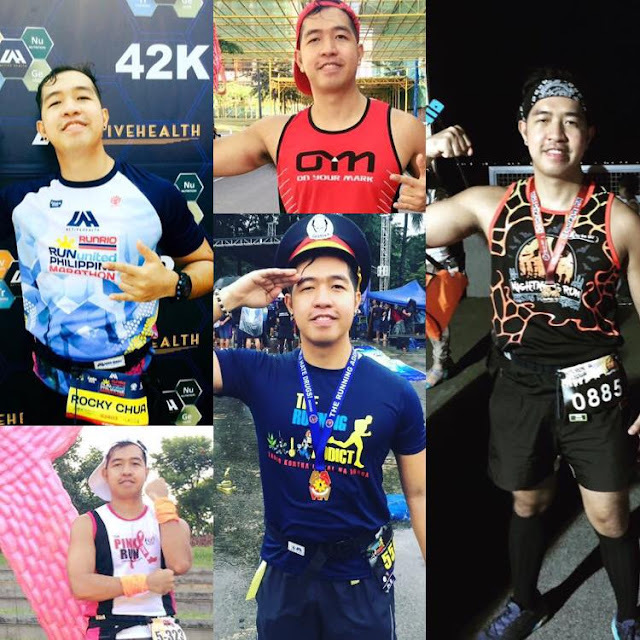 The marathon which took place at its home ground in SM Mall of Asia on October 2, 2016 completed my Run United trilogy with distances of 21K-32K-42K respectively. For the first time, yours truly Runner Rocky turned gwapulis as I ran against illegal drug via the first ever PNP fun run, The Running Addict: Takbo Kontra Ilegal na Droga! 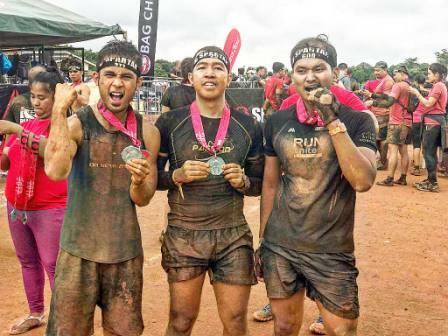 This 5K obstacle race which took place at the CCP Complex on October 16, 2016 tested our tough as we ran amidst the typhoon Karen. 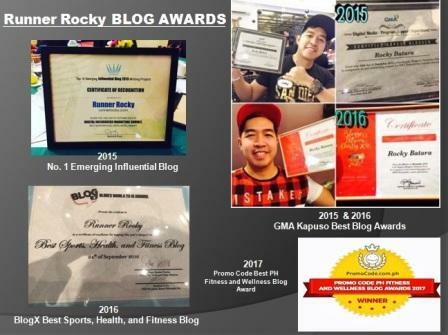 Thus proved our spiel in the video, "Umulan man o bumagyo, adik pa din kami sa takbo!" Yeah, this is where we use the famous line "Red is the color of the run." From singlet to medal race to finisher shirt, all were wrapped in red! This was the final leg of the very first Japanese-inspired running event, the On Your Mark (OYM). Conquering a 25K-race, OYM 3 which took place in Bonifacio Global City on October 23, 2016 is AffiniTea Race's another trademark running event! Pink is for The Pink Run 2016. My very own running and blogging team, the Team Runner Rocky very much supported this race for a fight against breast cancer, one of the leading causes of women's death around the world. 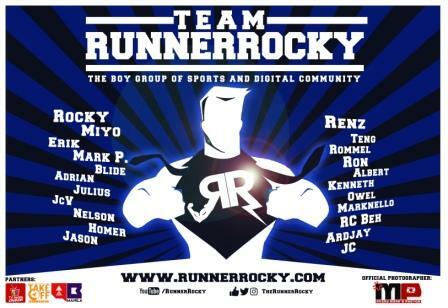 With the so-called Double A and Team Runner Rocky Trio, we had so much fun running a pabebe 5K-distance in Filinvest Alabang, morning of October 30, 2016. After having a charity pink fun run in the morning, the Team Runner Rocky Trio conquered another distance at night! We screamed, shouted, and laughed as we ran together with zombies and scary creatures in another AffiniTea Race's very own The Nightmare Run 2016. It was a 3K fun run for the whole family that took place in SM By The Bay on the night of October 30, 2016 inline with our Halloween tradition! 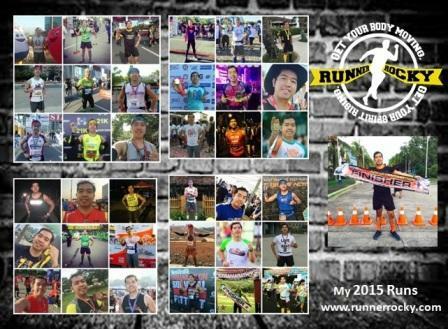 Which of these running events have you joined with last October? Which colors of run do you prefer? !